]In 1939 Joe Kavalier smuggles himself, Houdini-style, out of Nazi-occupied Prague and reappears in New York to live with his cousin, Sammy Clay. It’s the golden age of comic books and the ambitious pair—the storyteller and the artist—invent the perfect superhero for America on the brink of the Second World War. Chabon’s tale of escape, transformation, magic, and moxie is a modern-day epic­. Book-It presented this novel as a theatrical event complete with dinner break. For all the exciting details, please refer to Your Amazing Adventure Guide! To honor the scope of the novel (it’s 636 pages long! ), we’ve bumped our starting time up to 6:00PM and created an evening-length event–about 5 hours in total–that includes as many twists, turns, and tumbles as Chabon’s epic story. 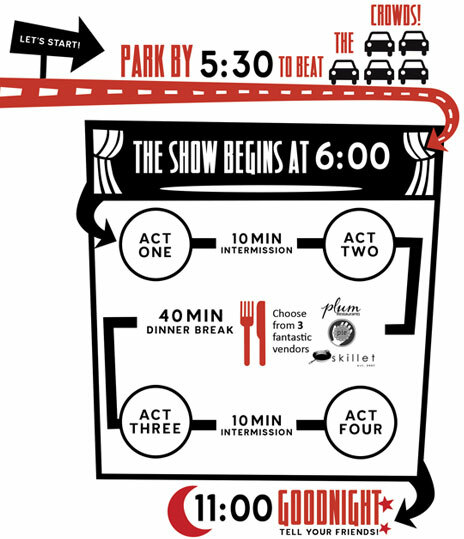 In addition to two 10-minute intermissions, there will be a 40-minute dinner break at the end of Act II. We’ll lead you to the Armory’s Food Court, where you’ll have your choice of dinner options at our partner restaurants: Skillet Counter, Pie, and Blue Water Taco Grill. We’ve been working with our partners to make everything quick, easy, and affordable for you. Plan to spend around $10 per person. Dine in our designated seating area and we’ll let you know when it’s time to return to the theatre. Prefer to make your own dinner plans? That’s fine, but please return within 40 minutes. Remember: there is no late seating at Book-It. The performance will take place in our home space: The Center Theatre in the Armory. Our partner restaurants are located upstairs from the theatre, in the Armory’s Food Court. Beat the crowds and park by 5:30PM. Getting to the theatre. 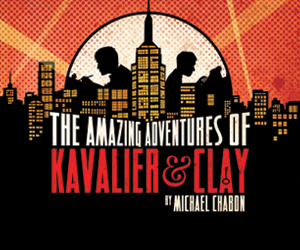 How do you cram 639 pages of ‘Kavalier and Clay’ on-stage? “Kav and Clay” is a special event! It’s a five-hour event and that shouldn’t stop you for a minute!